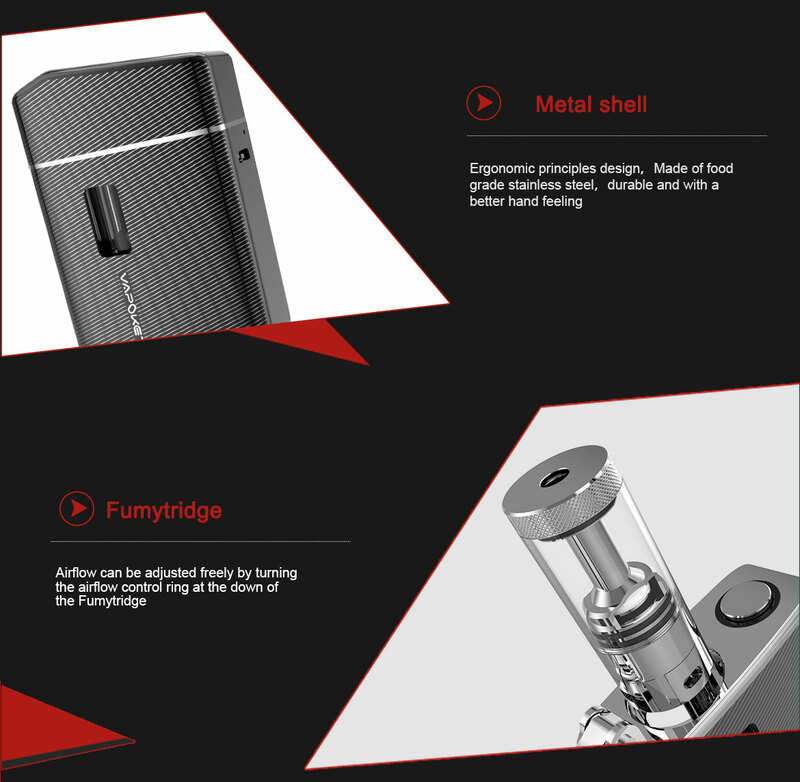 The Vapoket is an All In One kit by Fumytech, which is made of stainless steel and zinc alloy. 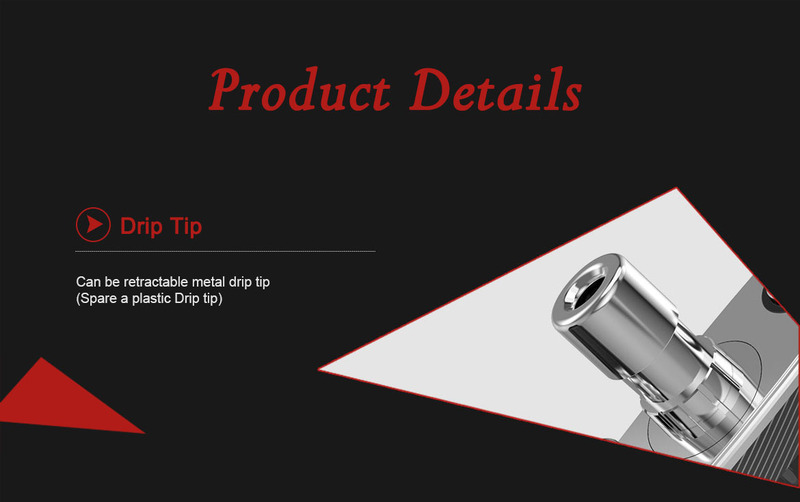 It benefits from a durable surface treatment in PVD. 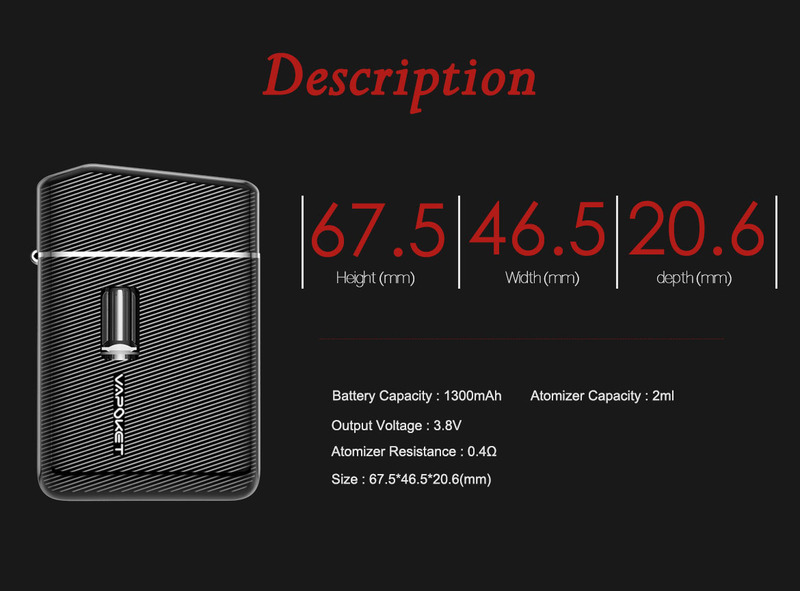 It is equipped with a built-in battery of 1300mAh and a small chipest allowing to deliver a continuous tension until the complete discharge of the battery. 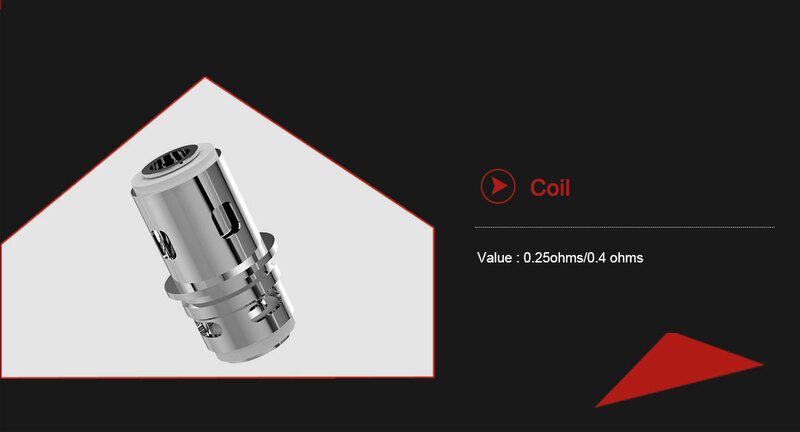 It also offers protection against: short circuit, overheating, low battery voltage and improper resistance. 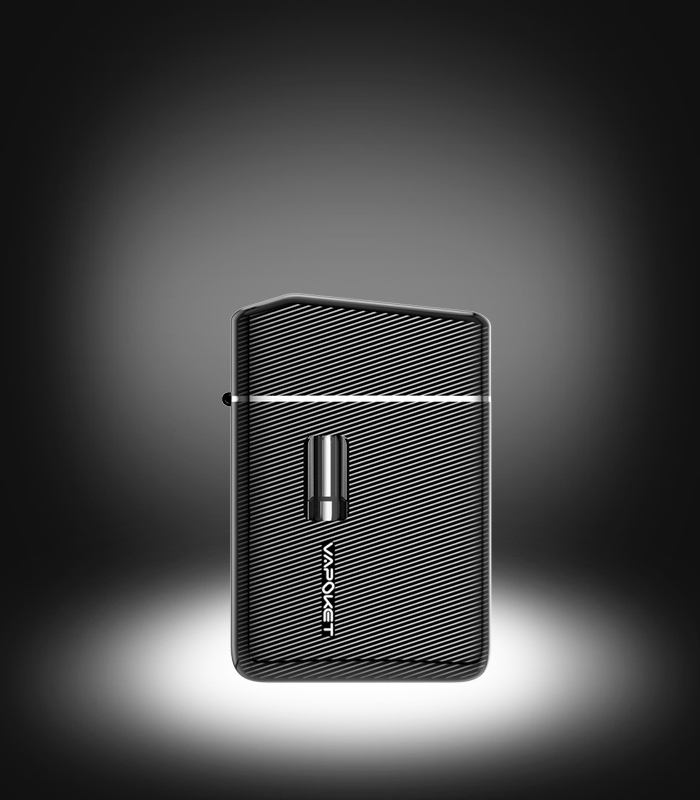 The Vapoket kit comes with the brand new FumyTridge Cloud with a 0.4 Ω resistor for 2ml and with Top Filling feature. 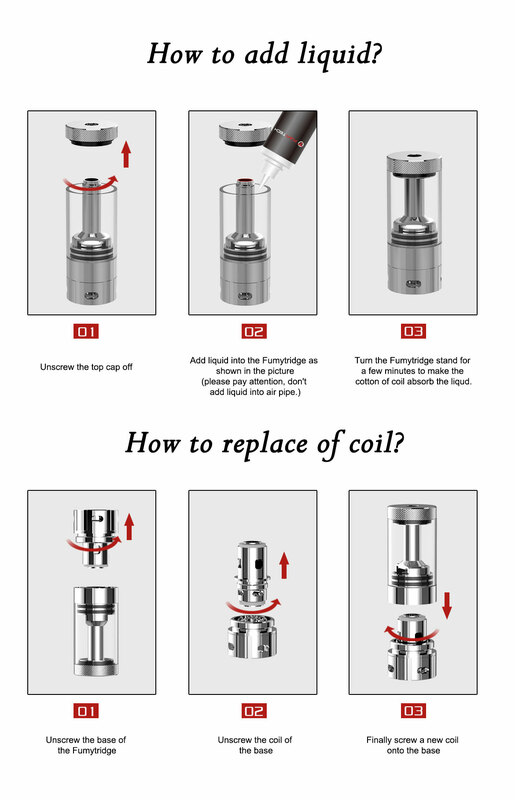 As the name suggests and despite its small size, it delivers a very good production of vapor, without forgetting the flavor restitution! 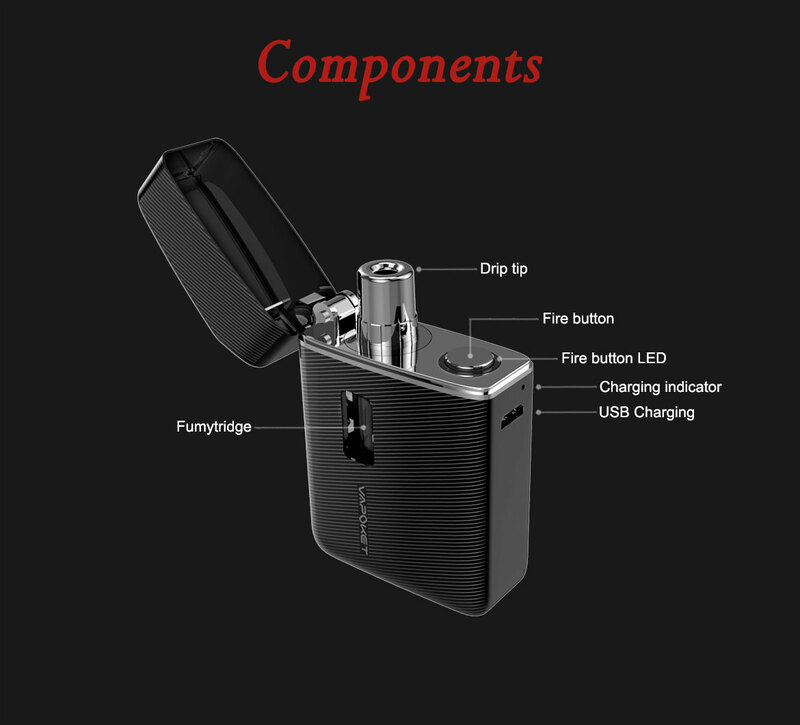 It has a micro USB port that allows you to recharge and vape at the same time (passthrough function). Hard to find him a competitor in its category! Both by its unique format, as its capabilities. 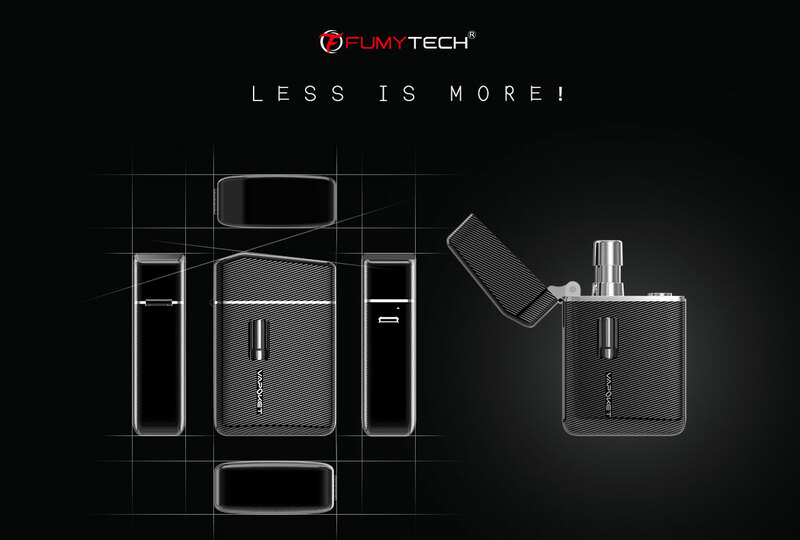 It has the same battery capacity of an Ego AIO but superior performance.